Last week I went to Sweden for both work and play. I was lucky to have both my husband and my sister as my assistants, thank you both. 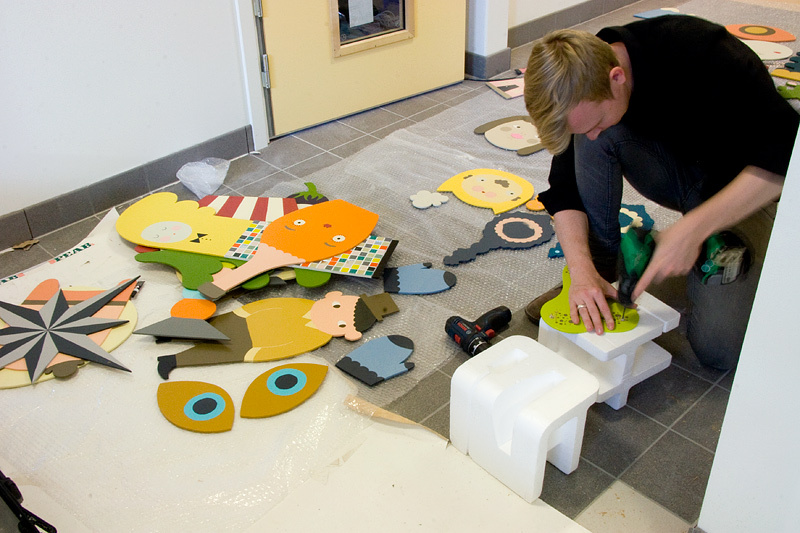 It's a public commission for a preschool in Skellefteå. It was such a fun project to work with. 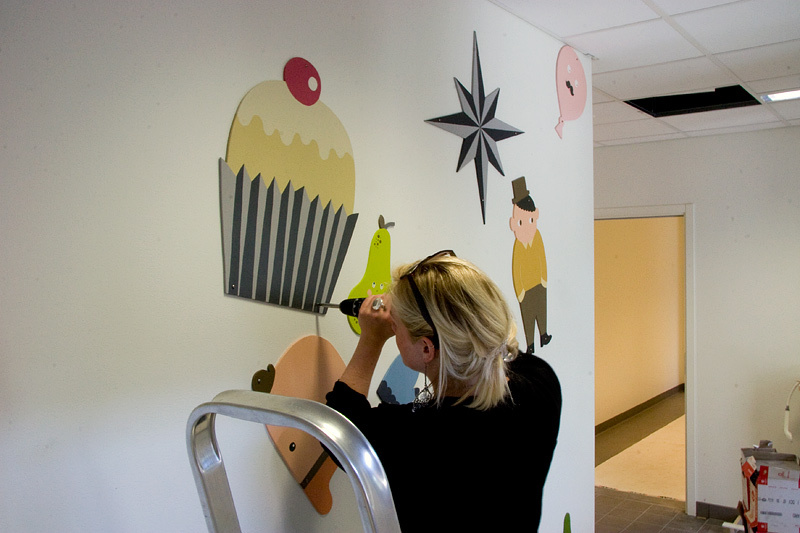 Also huge thanks to Anna Karin and Camilla. Will show you some pictures from the north of Sweden in the next few days. Happy weekend! Super lovely! I wish I could say "hej" to you on the street in Stockholm, good fun! So cool! Lucky kids. I'm excited to see the rest of your Sweden photos; glad you had a good trip! Beautiful! Your photos and works inspires people across the world. I'm waiting for the new perspectives that only Sandra get. This is nothing short of brilliant!!!! what great work, sandra - it looks really fantastic. 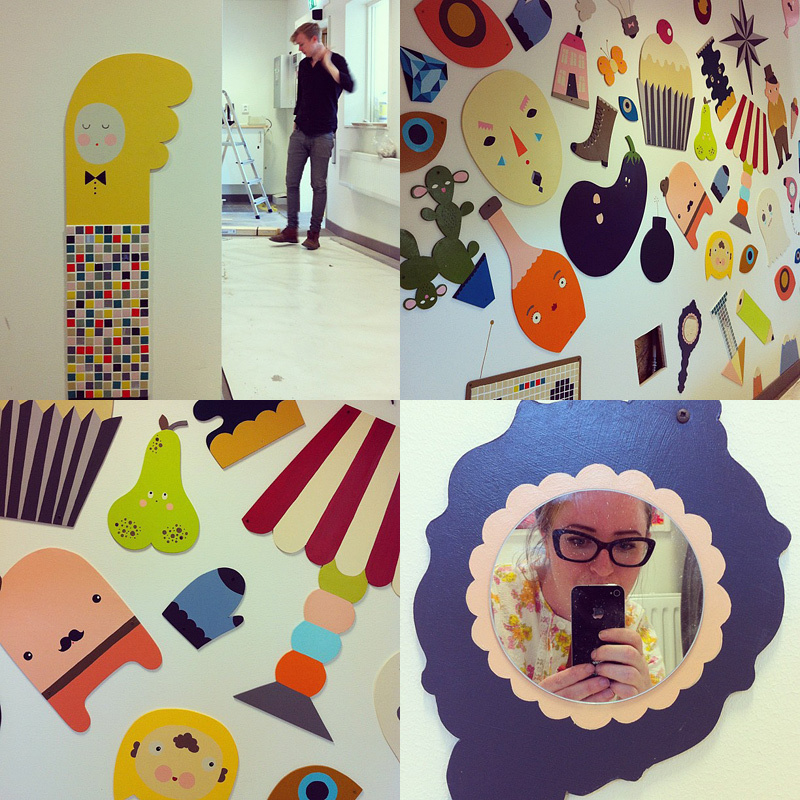 I love everything about this wall installation!! Every single piece is so cute and unique! 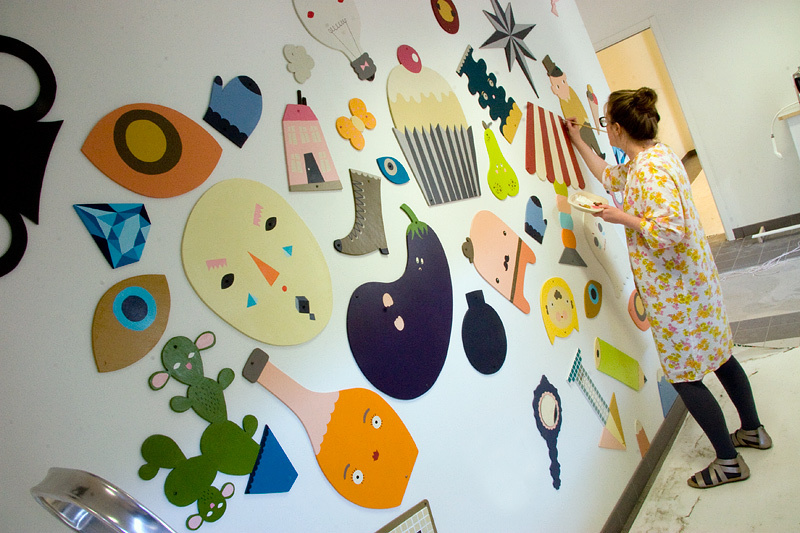 I really admire your style & I think the kids will love being among your colorful & fun art. Great project ! Bravo ! that is so cool! those lucky kids! :) what an amazing project. It looks amazing! What a wonderful imagination you have! Looks nice, very colorful and funny. I love your style. Love it! What a cool Kindergarten! this looks ace, sandra! lucky kids and staff at that kindergarden. it makes me so glad to read your comments, SO happy you like it! O I just love it!! It turned out so fantastic! It's inspiring to make fun images for kids. Some will remember some of those characters for the rest of their lives. love the colors and shapes and faces and patterns and textures. I bet the kids will love them too. They will go home and dream about the giant cupcake, the cartoon mitten and mr. eggplant with mole feet. That's just so beautiful ! That's very exciting work, Sandra! 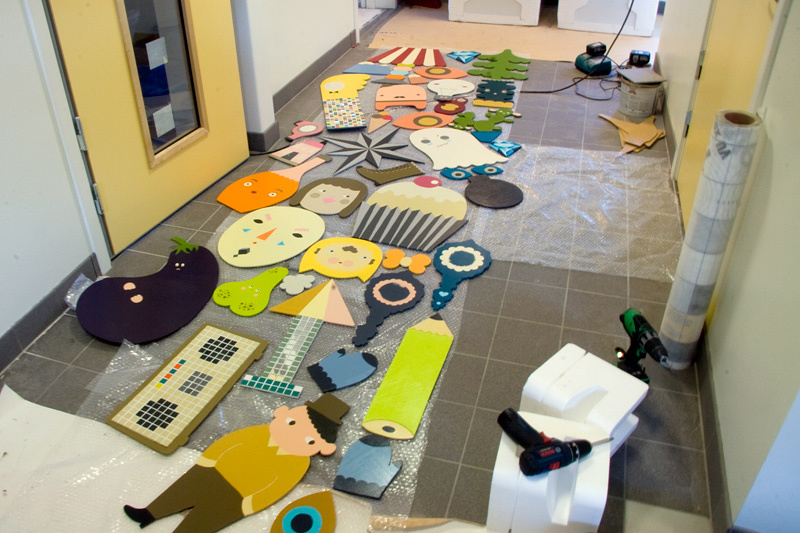 So good to put your talents towards so many fun projects. I'm also a graphic designer and love working on things that bring joy to others as well as myself. Lovely characters, very nicely and smart stylized. I just don't like whole composition, little bit messy, if you don't mind me saying it. sandra, this is totally fantastic, i love this soooooo much! this is genius.